Novel Coworking purchased the TriTech Center in downtown Minneapolis, the company announced Monday. It is Chicago-based Novel’s second location in the Twin Cities after it opened its first shared office last month at the former Art Institutes building. “The demand for flexible and budget-friendly workspace in Minneapolis has been impressive, and we’re excited to be able to offer small businesses and entrepreneurs even more options downtown,” said Bill Bennett, founder of Novel Coworking, in a statement. Unlike many co-working providers, Novel (formerly Level Office) purchases its buildings instead of leasing space and then subleasing it to members. Novel leadership says this structure allows it to charge cheaper rates. The TriTech Center, located on 4th Street between 2nd and 3rd avenues, is close to 114,000 square feet. The nine-story building is half occupied with traditional lease tenants, who will remain. 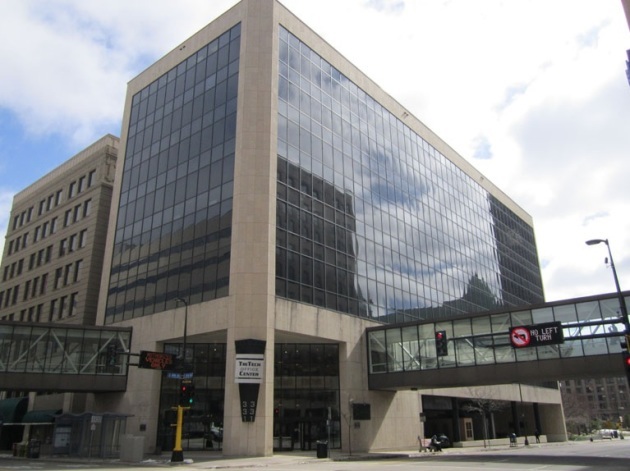 The TriTech Center was sold by DCI Minneapolis Venture, LLC. An electronic certificate of real estate value wasn't immediately available Monday afternoon for the sale. Coworking, a style of work that incorporates shared office space which is rented out in short-term leases, has become more popular in the Twin Cities with larger, national providers as well as local startups creating their own co-working spaces. For example, New York-based WeWork recently announced it would double the space it will lease at the new MoZaic East office building in Uptown to more than 102,000 square feet. Later this month, a new space called “The Social” is scheduled to open in Rogers. Its founder Michael Colosimo calls it "both a co-op work space and a gathering place" with work stations, private meeting rooms, a cigar lounge, poker tables, and other games. Coworking represents only about 1.2 percent of the Twin Cities multitenant office market or more than 900,000 square feet of space, according to Cushman & Wakefield. But that’s an increase from a year ago when co-working made up about 0.9 percent of the market.